Give me a delicious cup of tea and a good mystery and I am one happy Tea And Hat Lady! In view of the happenings in the world recently, I found great relief in being among people who are dedicated to tasteful writing — without cursing, threats, or fake news; although a majority of the authors participating do write fiction. I recently had the pleasure of attending the annual “As You Like It” Mystery Conference offered by the Mechanicsburg Mystery bookshop. This is probably my fourth or fifth year of attending this outstanding local event. Where else can you spend the day engulfed in books, authors, and (for me) tea. As always Debbie Beamer welcomed all with her friendship and love of mysteries. Barbara Early/Beverly Allen — Writes the Vintage Toyshop and the Bridal Bouquet Shop Mysteries. Don Helin — Writes a series based on the life of a retired military officer and publishes regularly in The Burg. Don makes his home in Central Pennsylvania. Nancy Hughes — Her works have been described as character-driven crime solving mysteries. Eleanor Kuhns — Has published five books set against the world of the Shakers in 1796 through the life of Will Rees, a traveling weaver. 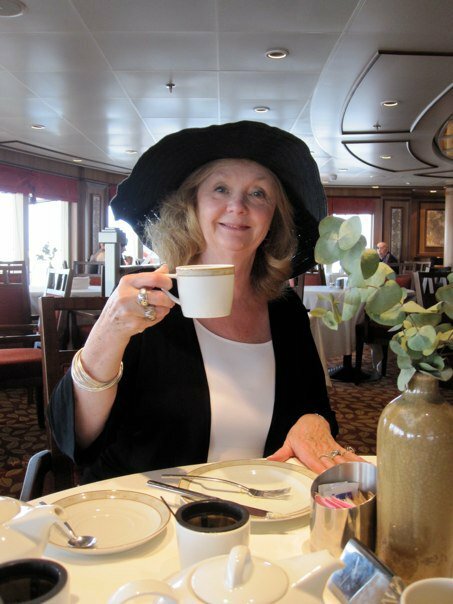 Jane Kelly — Writes the Meg Daniels mysteries. Several of her many books cover unsolved mysteries set against the backdrop of moments in Philadelphia’s social history. Greer Macallister — Greer is a poet, short story writer, playwright, and novelist. Her newest book was inspired by the real story of Pinkerton Investigator Kate Warne. Dennis Royer — Writes stand alone novels all taking place in Perry County, Pennsylvania. Randall Silvia — Is an internationally acclaimed author of more than a dozen novels, one story collection, and one book of narrative nonfiction. In addition to the above panel of authors, I was thrilled to see Sheryl C.D. Ickes in attendance with her newest book, Murder in the Woods. I have enjoyed Sheryl’s previous book and am looking forward to devouring her recent addition. Beginning our day with Debbie Beamer's welcoming comments and the discussion of character development . Panels of authors discussed their techniques to achieved character identity while providing a back story that is consistent, interesting, and convincing for their particular protagonist. All authors work towards avoiding a protagonist that is TDTL (too dum to live) in a review of their book. They convinced me that my enjoyment of people watching could be expanded into a book. Luncheon speakers were the author husband/wife team of Philippe Ballantine and Tee Morris. Their series — The Ministry of Peculiar Occurrences — is, according to the authors, X files in the Victorian Times. Although I have been known to enjoy a Steampunk Afternoon Tea, I must admit that I have not yet started to read this series — it is on my “to read” list. The Team of Pip and Tee entertained and informed us about the life of a wife/husband co-authoring team. After lunch authors shared their preference of whether to author a series versus a stand alone book. Amazingly many of the authors reported that the protagonist took on a life of their own and determined whether the book would be part of a series or a stand alone. My kind of people, even the authors can become lost in a book. Stand alone versus series became an interesting situation for many of this panel. My observation of the outstanding authors present was that a majority of them are early risers, time management experts, multi-tankers, and to my delight tea drinkers. Raising my cuppa tea this morning to a good mystery . . . "Read And Drink the Tea of your Choice."